You wanted the best, you got the best. We've selected the best of the best of the past year. 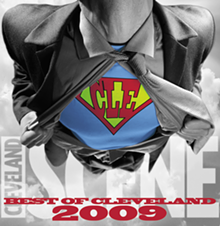 Navigate the 2009 Best of Cleveland issue just to the left of Cleveland Superman here, browsing either by category, clicking one-by-one through every blurb, or jumping to one of the sections below.